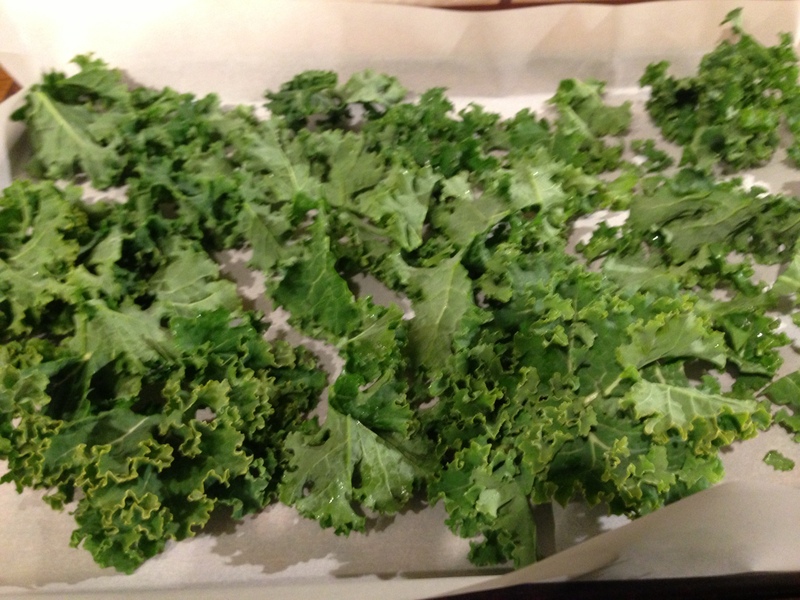 Here is another recipe for kale chips. I have always used the curly ones, but recently found that the dinosaur variety (a.k.a. 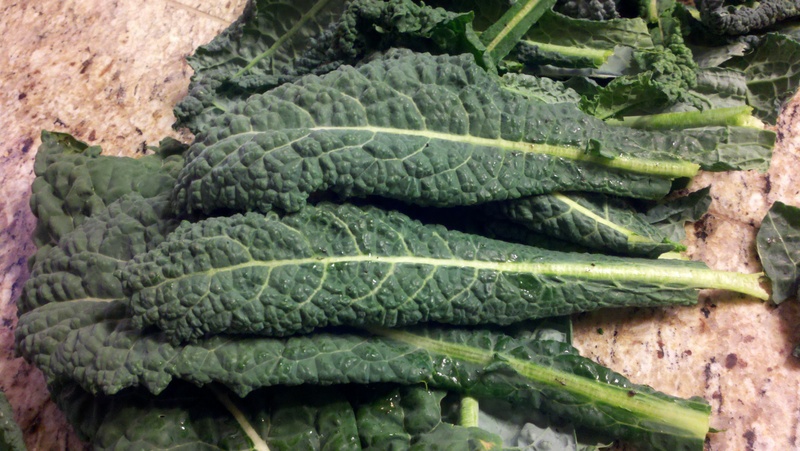 Tuscan kale and Lacinato kale) was more hearty and easier to bake. I make my kale chips with this now. Arrange in a tray without overlapping. 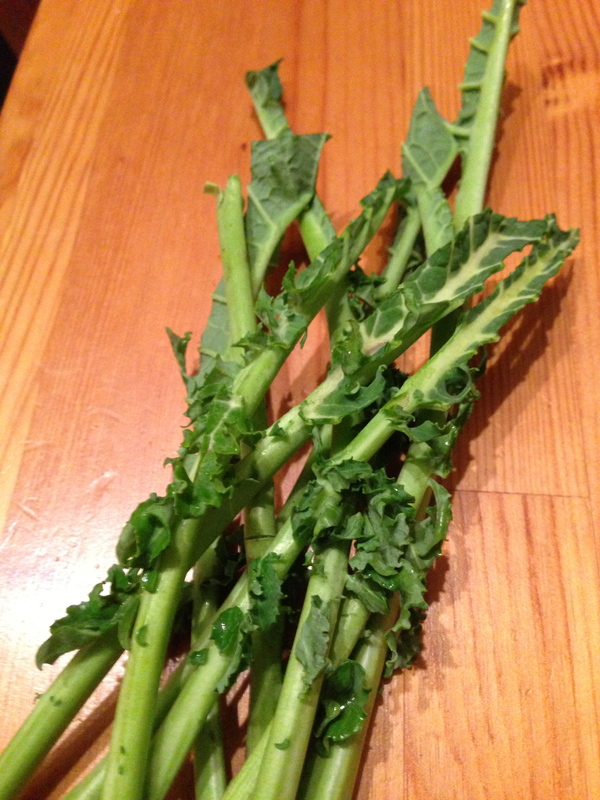 Spray lightly with oil and season with salt. Bake for 15 minutes or until crispy. 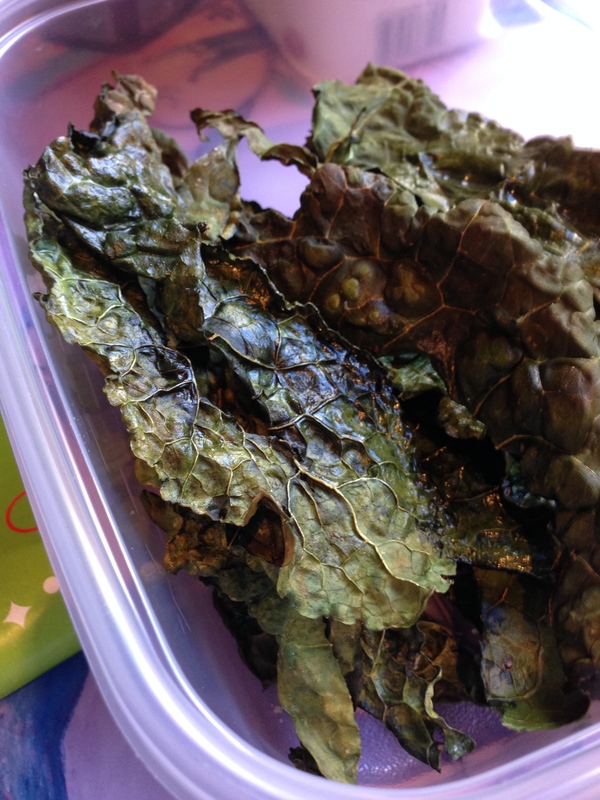 Posted in A Mother's Narrative, Filipino Recipe and tagged dinosaur kale, helathy snack, kale, kale chips, Lacinato kale. Bookmark the permalink. I went to the Farmer’s Market today and found a wide variety of fresh produce. I usually just buy my usual veggies: broccoli, mushrooms, carrots, snap peas, lettuce. 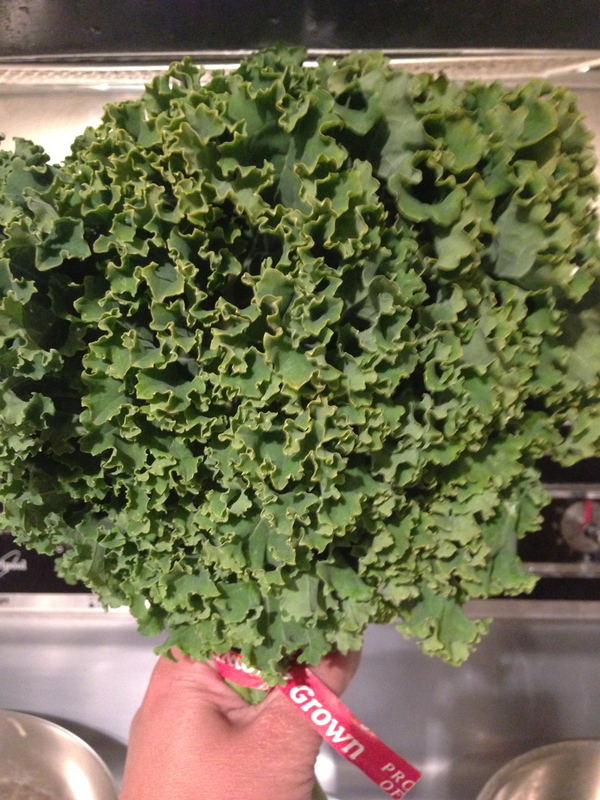 But today, a box of kale caught my eye. I heard about kale and how it is supposed to be a wonder veggie, but the only time I actually bought it was from a grocery store to use for my chicken soup. My tinola had kale instead of the usual green papaya and malunggay. I decided to buy a bag and asked how else I could prepare it. The stall owner, a Filipino, was surprised that I have only eaten it cooked. I nibbled a leaf. I liked it. It was chewy and sweet. The taste was definitely different from the packaged bag I picked up earlier from the grocery store. I haven’t eaten enough of it to know if it was because it was fresher, or because it was organic, or just because it was a different variety. But I liked what I tasted. 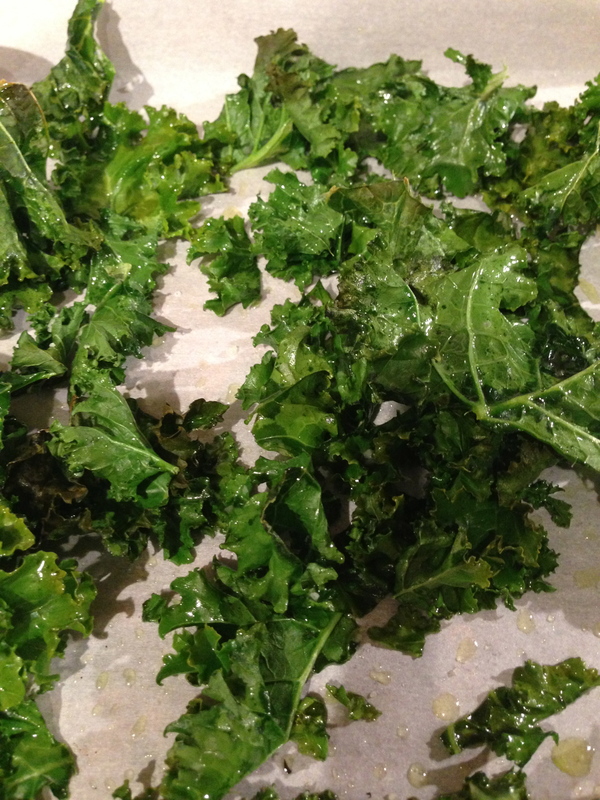 Baked Kale chips are becoming popular too. They are quite expensive in specialty stores, so I thought of getting several bunches to bake for my kids. The verdict: my daughter likes it, but my son doesn’t. 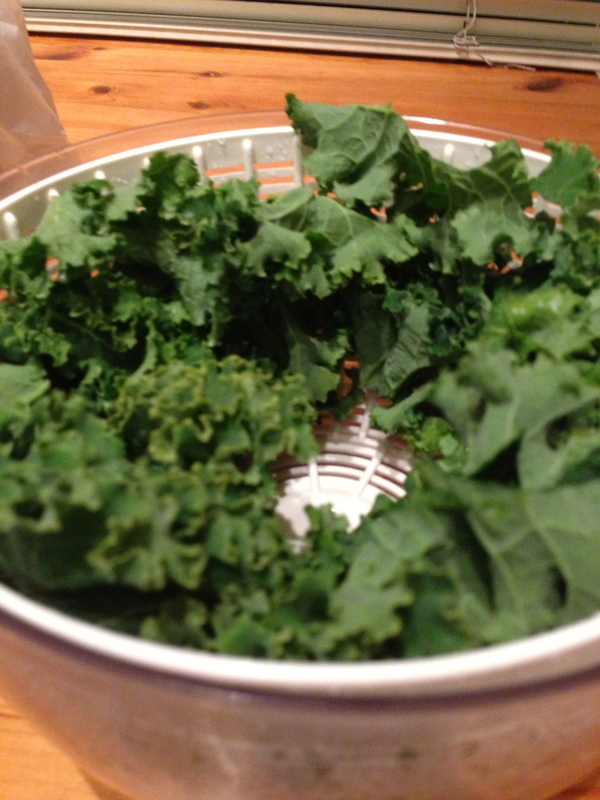 Nothing can be easier than preparing this nutritious snack–kale, olive oil, salt. Preheat oven to 350F. 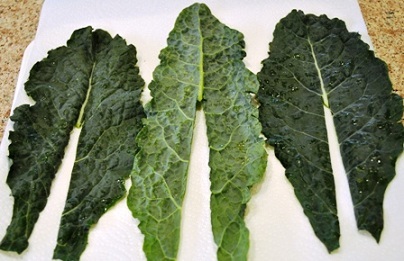 Remove the stem from the leaf and cut leaves to about an inch to inch and a half. Rinse and dry very well. Cover a baking pan with parchment paper. Lay the dried kale being careful not to overcrowd. Drizzle with olive oil and season with salt. Bake for 10-15 minutes. When the tips start to brown, remove from the oven. Serve right away. Posted in A Mother's Narrative and tagged farmer's market, kale chips, nutritious snack, snack. Bookmark the permalink.